Smooth and creamy soft serve is a must-have treat for the upcoming spring and summer months. You’re in luck with this delicious, easy to make, kid tested, and kid-approved recipe. With just a few simple ingredients, you can whip this up in about 5 minutes! 1. Put all ingredients in a food processor and blend for about 3-5 minutes, or until mixture is completely smooth. * Stop and scrape the bowls a few times to ensure all ingredients are blended. 2. Pour ice-cream mix into a glass container. Place in the freezer for at least 3 hours. 3. Let ice cream sit at room temperature to soften a bit before enjoying. Add optional toppings if desired. Nicolette Stramara believes in balance. Just because you’re eating healthy doesn’t mean you need to restrict your sweets. Her passion began in the kitchen, baking desserts for others. Nicolette’s drive to live a healthy lifestyle blended with her baking skills. Over the years she began to experiment – baking with protein powder and other healthier ingredient alternatives. 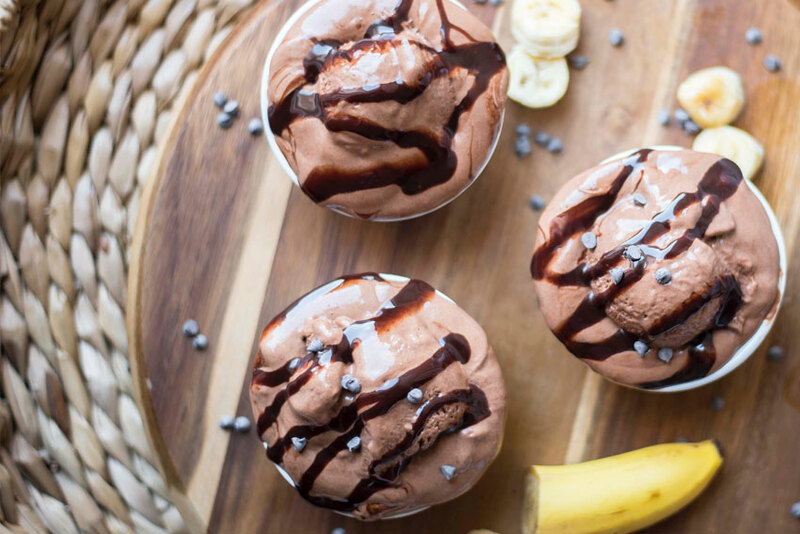 Now she loves to create mouthwatering desserts that deliver healthy, protein-packed flavors! 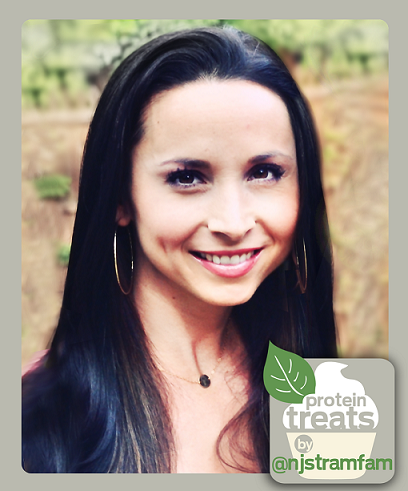 From cupcakes and cookies to cheesecakes and pies, Nicolette shares her delicious protein treats for everyone to try. My blog Protein Treats by Nicolette has all of my past and present recipes.